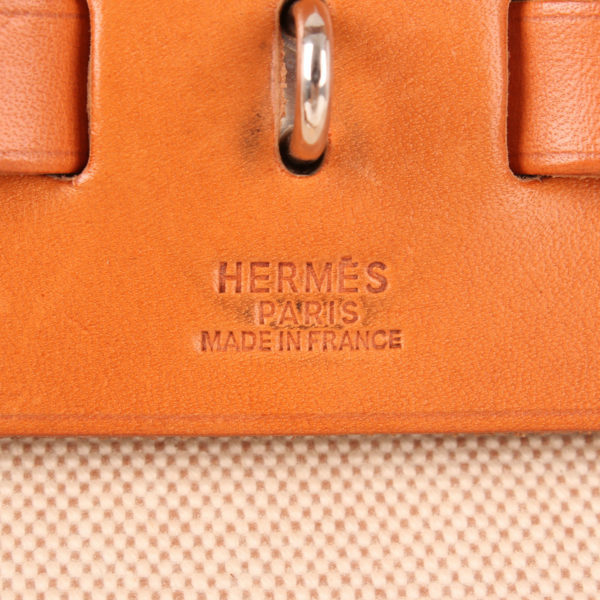 Hermès Herbag. 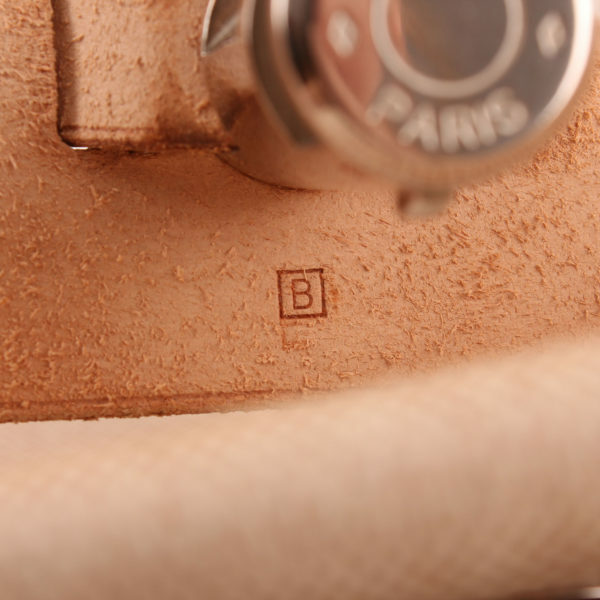 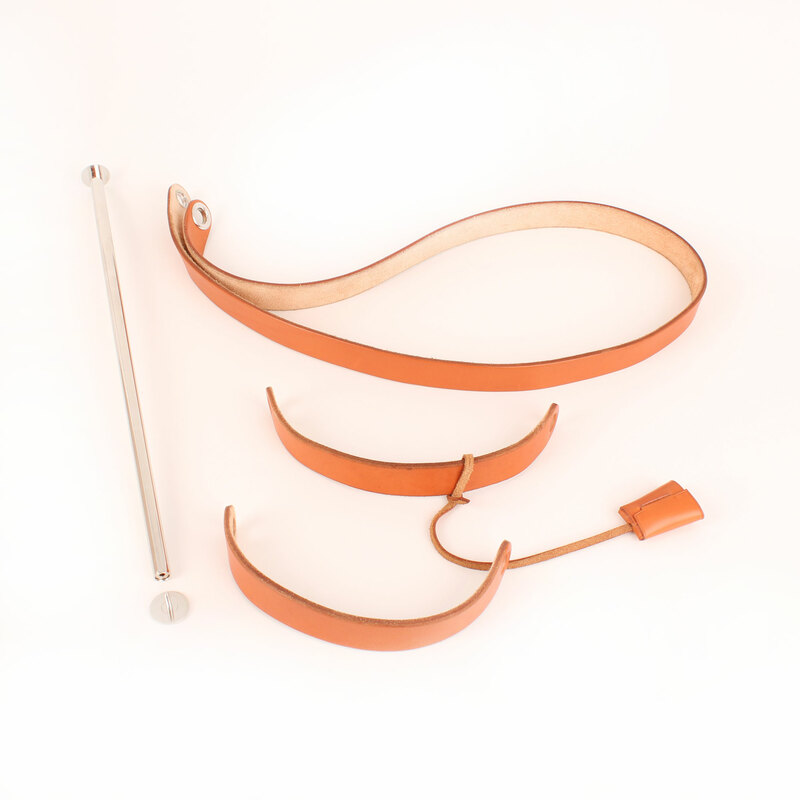 A work of art in manufacture chez Hermès, it can function both as bag and travel bag. 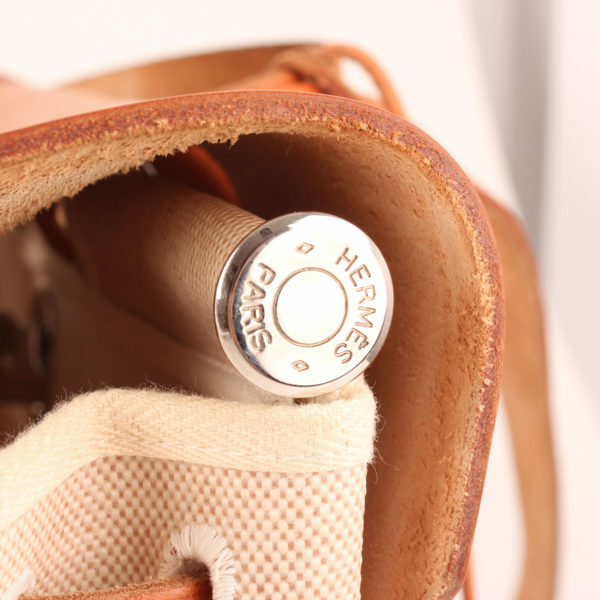 In a beautiful H canvas and natural leather combination. 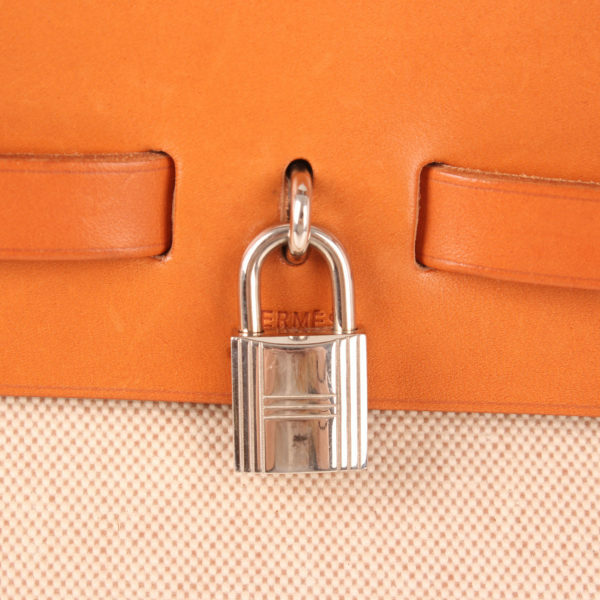 Travel bag and bag, the Hermès Herbag is the total accessory to carry your belongings. 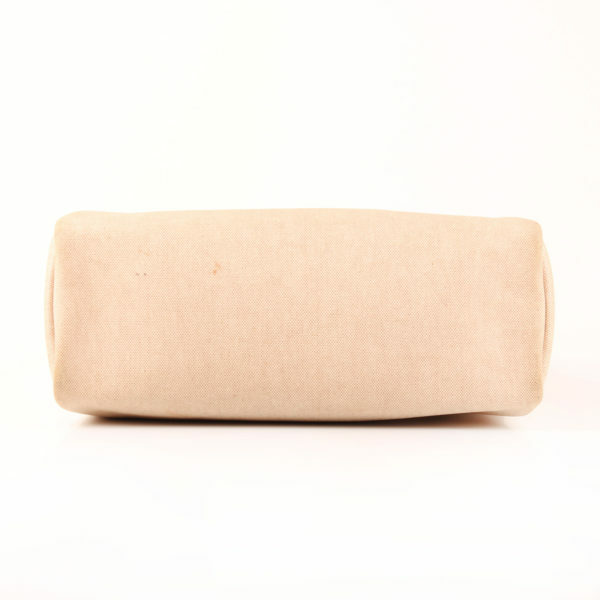 Two identically trimmed bags, one fitting into the other, with exchangeable handles that can be attached to removable frontal flap. 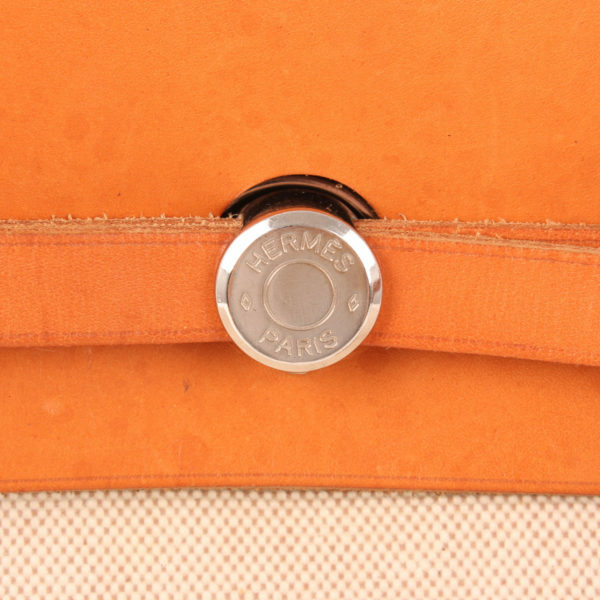 A metal bar and leather tabs fix the flap to canvas. 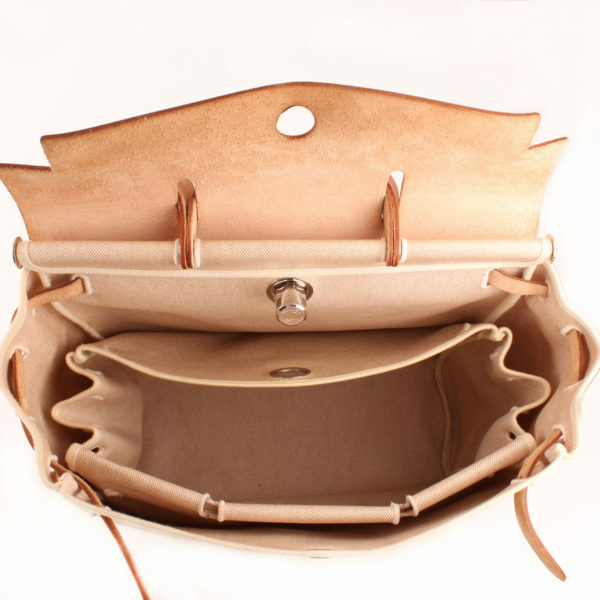 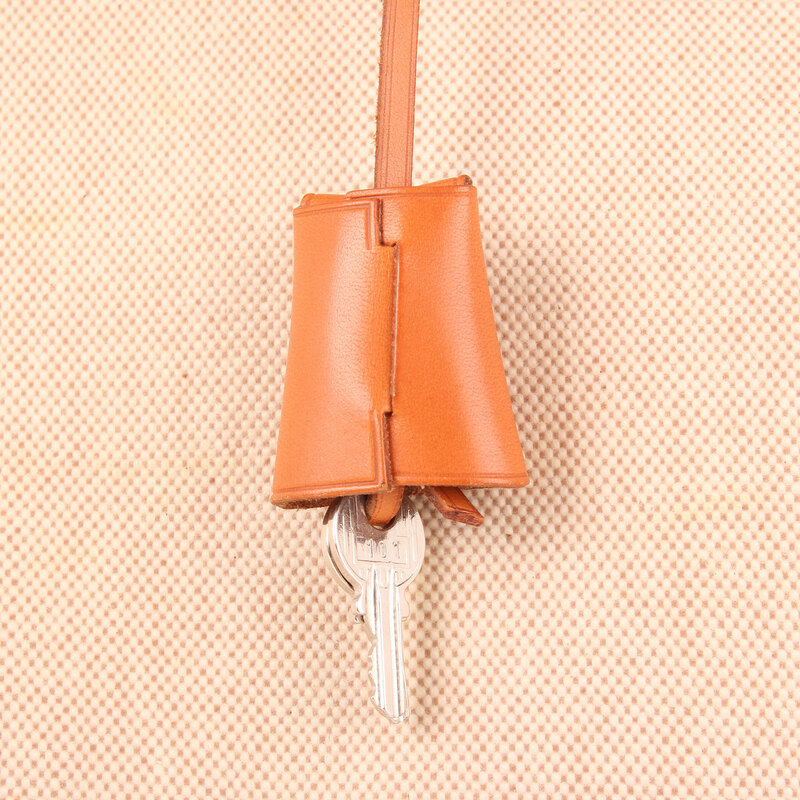 The flap is a Kelly style leather piece with a fixed metal piece attached inside. 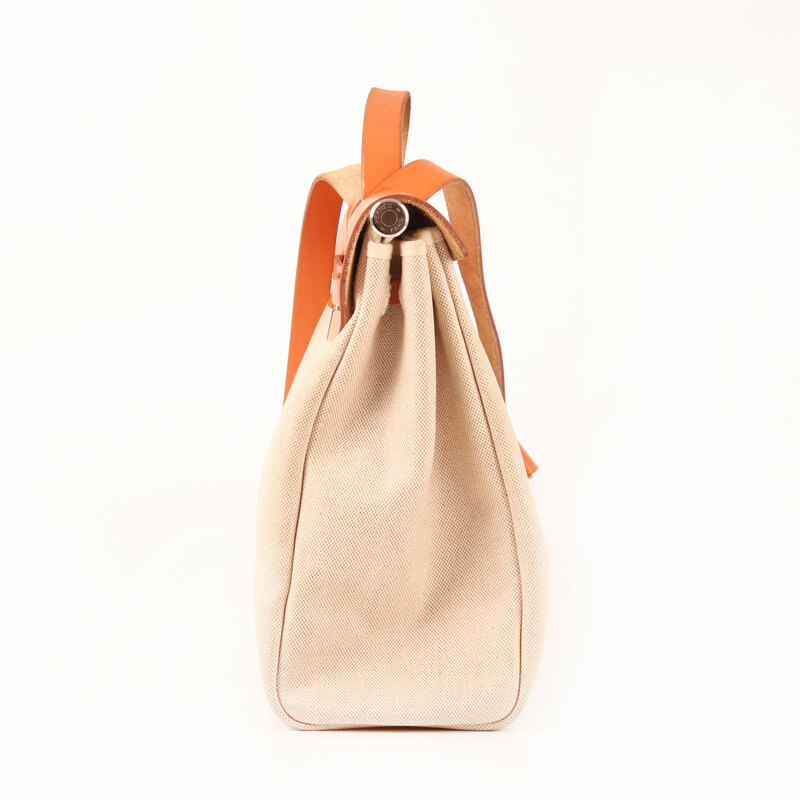 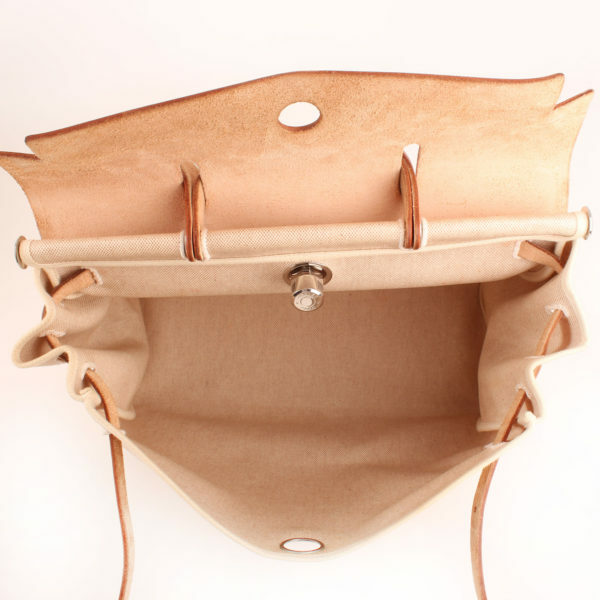 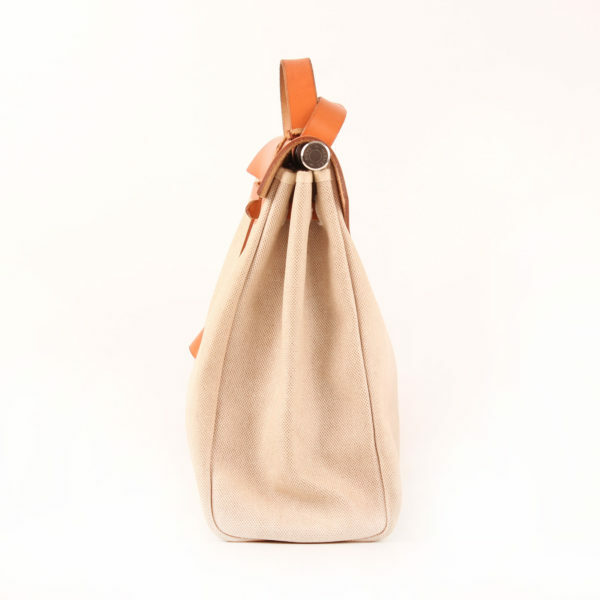 The Herbag is made of H waterproof canvas in ecru color and tanned brown natural leather with palladium hardware. Details: Some stains and scratches in leather. 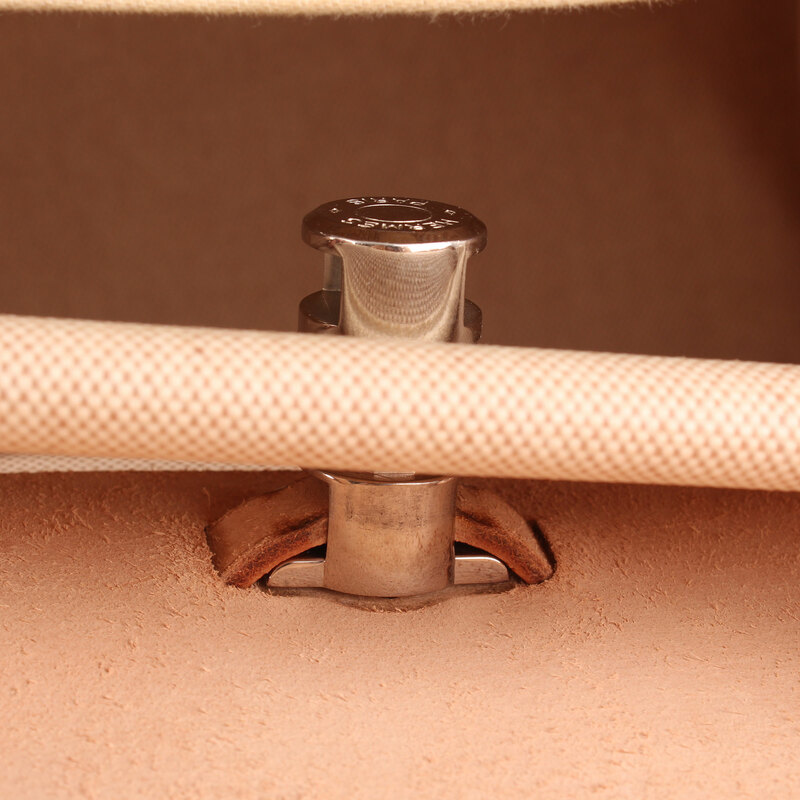 Canvas shows sings of use and yellowing parts.